Selling TIG welders, MIG welder machines, Plasma Cutters and welding supplies that support and enhance the welder's way of life is our specialty. Welcome to your online welding supply shopping portal powered by Tokentools Welding Equipment Supplies 24 hours a day, 7 days a week. 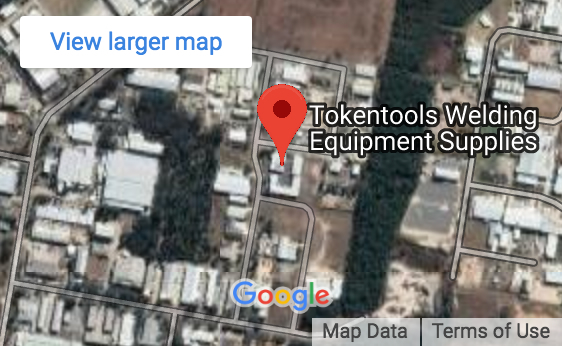 Tokentools is an independent Australian Welding Equipment Brand, and manufactures welding equipment, accessories and consumables and brings to the market the latest in IGBT welders, machines and inverter welder technologies for our customers to benefit. Our strong family values and customer focused approach ensures prompt attention to your needs including fast dispatch from our warehouse and expert post sales support that sadly many others fail to provide. Whether you need portable tig welders or your budget allows for high end digital machines you will see our industrial welding machine range as a quality brand with proven Australian support. Our range of products spans from Arc welding equipment, Mig Tig Welders, ACDC Pulse Tig Welders right through to Plasma cutters, Auto darkening welding helmets and so on with accessories and spare parts to back your needs. We stock clear front cover lenses for Miller, Lincoln Electric, Unimig, BOC, Cigweld, WIA, Fronius and Kemppi welding helmets. The diverse range of new welders available from TWS will find a fit to any budget or welding process and with automation tools such as welding positioners and welding magnets including workshop clamps you can get working efficiently we even take care of the PPE. An array of personal protective equipment such as welding screens, automatic welding helmets, spats, gloves and jackets are available in many sizes . The inverter technology employed in Metalmaster Welding Machines features IGBT Transistors supplied by Infineon and Siemens European manufacturing plants. The use of Insulated Gate Bi-Polar Transistors provides more efficient switching of the generated AC wave supplied to the transformer which reduces heat and increases duty cycle when compared to MOSFET type machines. The multiprocess inverter welders from Metalmaster provide output currents above 175 and 180 Amps and usually have capacity of 200 and 210 Amps respectively. They offer many advantages when compared to single function products available online in Australia. Muliprocess Mig Welders feature MIG TIG Smootharc functionality and are provided with all leads so there is no additional purchase required to lay down your first weld. 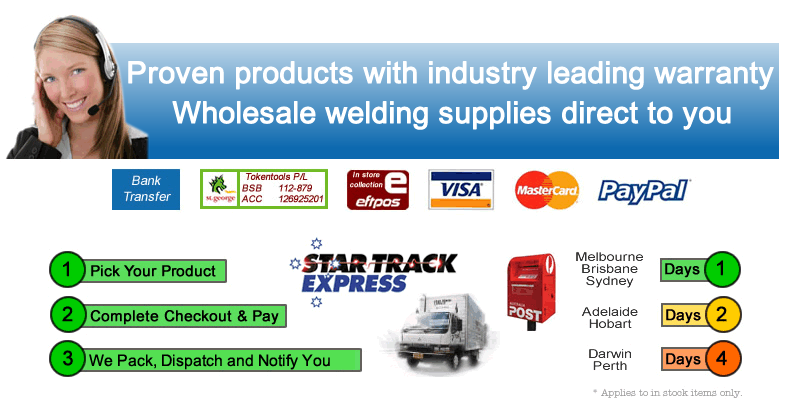 The most popular products are the multi process welder with AC Tig function and Plasma Cutting capability. This type of elite multiprocess welder enables the operator to weld mild steel, aluminium, titanium,stainless steel and to cut the same materials also. Some of the multi process ACDC tig welders fetaure pilot arc plasma cutter whilst others contain HF type plasma cutter only. Our welders equipment caters to a vatiety of materials also., whatever your need for inverter machines, welders for aluminium, welders for stainless steel, Tigs or Migs for mild steel and chrome molly, perhaps the use silicone bronze wire interests you, we have the right welding tools to get the project completed. Even the need for cutting metal receives dedicated attention because we stock Plasma Cutting Machines, plasma cutting equipment and consumables. We have a huge range of plasma cutting circle guide kits available for all major brands incluing BOC, Cigweld, WIA, Miller, Lincoln, Unimig and Kemppi just to name a few. Our welders supply products are manufactured to our specification, our technical director insists! Australian know how with an emphasis on quality, not price. You will get the most out of your product thanks to our dedication to you. Our industry first 5 year warranty is derived from building great welding products with better parts. You will come to trust Tokrntools & Metalmaster welders because of our efforts to ensure you receive reliable machinery. All of our welders ship with industry standard torches, dinse connectors and industry standard consumables. When you require spare replacement parts you will discover we have parts for your welder on hand and ship quickly on a daily basis. Our range of inverter powered welders use IGBT transistors from Infineon and Siemens known for their reliability and not price. We have MTS multi-process inverter welders and multi process tig plasma welder cutters. Many have come to know that Inverter welding machines are our area of expertise. What started for Tokentools Welding Supplies as a vision to bring great welding products to Australian consumers at competitive prices has grown into a thriving Australian family owned and run business with now many thousands of satisfied customers. If you are online and searching for welders supplies and inverter machines then please give us a call, our 30 day money back guarantee and when it comes to Metalmaster and Tokentoolks machines, our 5 year comprehensive welding machine warranty certainly gets attention. You may reach our helpful sales staff on 1300 881 991, we will answer your questions to the best of our ability and help you get the right welding equipment for your needs. Our skilled packers will typically process and start to pack your welding parts order within an hour of receipt. 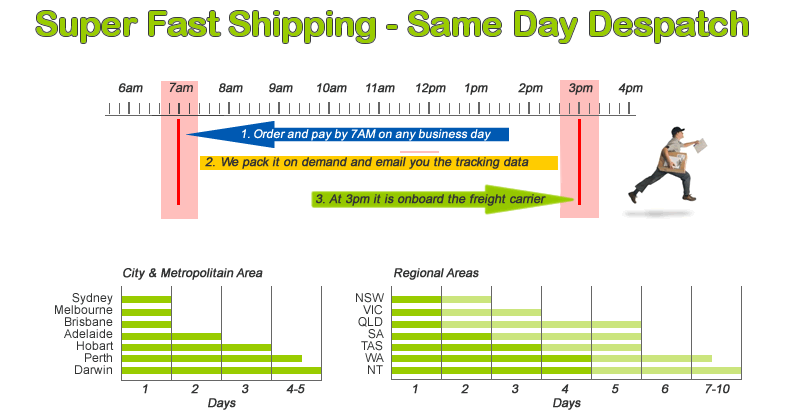 We have been shipping in Australia for over 15 years and can easily freight goods to the following locations. Most of QLD via Brisbane, all of NSW via Sydney, throughout VIC via Melbourne, in the ACT via Canberra, within TAS via Hobart, SA mainland via Adelaide, WA out of Perth and of course some of the NT from Darwin. There are some exclusions like far north Australia and minor outlying islands so please check the freight page for excluded post codes. You will be pleased to note that welding supplies are available with zero cost shipping when the total shopping cart value exceeds $200.